In November of 1917, the British Egyptian Expeditionary Force (E.E.F.) occupied Palestine, formerly a Turkish emirate. Initially, the E.E.F. had given civilians basic postal services for free, with additional services paid with British or Indian stamps. Free mail was withdrawn in February, 1918. with the issuance of the first stamps, including the 1pi Deep Blue (Scott #1), which as valid in Palestine, Cilicia, Syria, Lebanon, and Transjordan. Prior to the British Mandate in Palestine, Hebrew was not an official language, so these stamps bore only Arabic and English inscriptions. 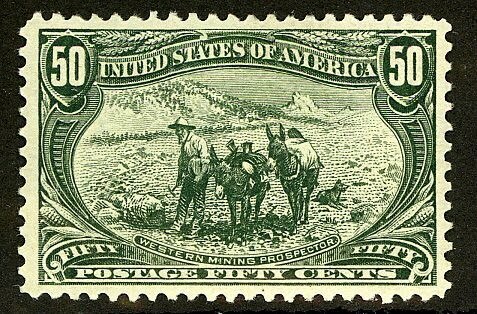 24,000 were issued, and Scott '10 values the stamp at $190.00 for unused, and $105.00 for used. 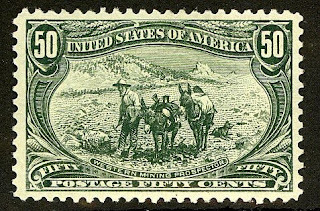 The stamp was issued without gum, which makes preservation easier. Covers are particularly desirable. Stamps of Israel and the Palestine Mandate are popular among stamp collectors in Israel and among Jewish collectors throughout the world. Stamps of the British Mandate Period are of particular interest from an investment standpoint, because they also appeal to British Commonwealth collectors. In all likelihood, the vast majority of Palestine #1s were used and discarded, and there remain no more than three to six thousand, in any condition.